Universities, Media, And Government Cry Hate Speech Against "It's OK To Be White"
The phrase "It's Okay To Be White" is an existential threat to the anti-white ideology being taught on Canadian campuses, marketed by the corrupt media, and increasingly being mandated by the Canadian government. The incredible and ridiculous response to the flyers "It's Okay To Be White" from members of the public, academic institutions, the media, the police, and even the Canadian Federal Government, is proof not only of how deeply the anti-white ideological infection has spread into the fabric of our society, but proof also of the power that the statement has. There is a concerted effort being made by certain parties at the University of Manitoba and the media (particularly the CBC) to establish the phrase "It's Okay To Be White'" as hate speech, both on campus at the University, and in general Canadian society. They are desperately employing every trick they can think of in an attempt to make it at best socially forbidden to utter the words "It's Okay To Be White", and at worst a criminal offense. It is imperative that that is never allowed to happen. 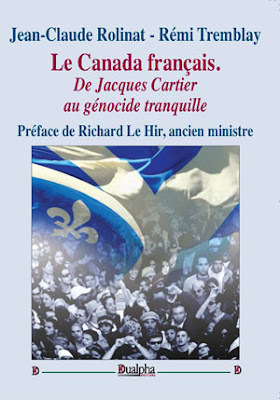 Not only would it signal the complete destruction of freedom of expression as guaranteed under the Canadian Charter of Rights and Freedoms, it would mark the beginning of a new era of anti-white oppression in which it would be a criminal offense to even state that it is okay that European Canadians exist. That is what these people want and it is what they are working hard to achieve. 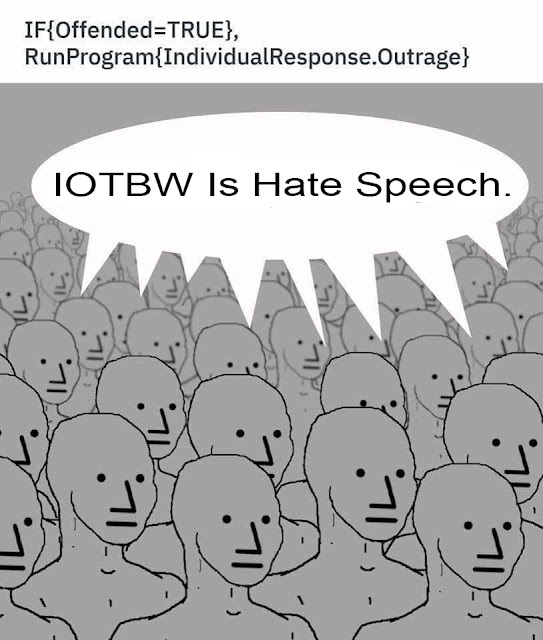 They know that the statement "It's Okay To Be White" cannot be categorized as hate speech in Canada, because it does not in any way incite hatred towards an identifiable group. Evidently, however, they are not going to let a small detail such as the Canadian Criminal Code deter them from trying anyways. Guilt by association: Attempt to associate the phrase with organizations, individuals, events, and ideologies that are associated with violence and/or hate speech. Claim that the phrase is directed at an identifiable group (e.g. natives, Muslims, or other minorities etc.). Impute meaning to the phrase that doesn't exist. 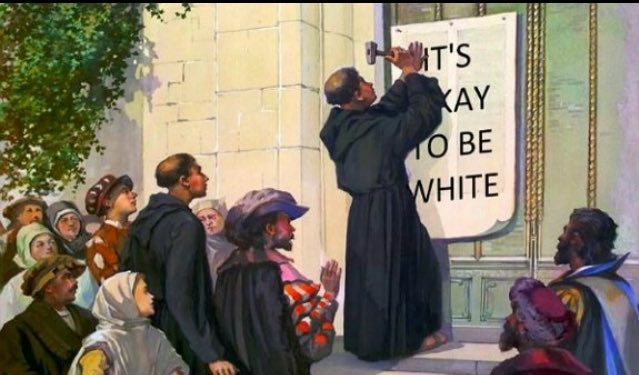 The media immediately began desperately trying to associate the phrase with every socially unacceptable group and historical catastrophe of the past century as soon as reports of "It's Okay To Be White" flyers began coming in. The go-to boogeyman, the Alt-Right, was trotted out (a convenient scapegoat that can be laden with representing whatever nefarious idea or point of view the media wishes for it to represent); vague claims were made of the phrase's origins being from "neo-Nazi and white supremacist groups"; the CBC randomly brought up anti-Islamic graffiti allegedly found on the University of Manitoba campus; we were instructed to remember the Jewish holocaust, and even the recent memory of the Pittsburgh synagogue massacre was evoked. This is a simple guilt by association strategy that is in itself not enough to have the phrase officially condemned as hate speech, but serves as the foundation upon which they are trying to build their case. They are well aware that simply stating that it is okay that a racial group exists could never qualify as hate speech in Canada. They knew that they would have to perform some kind of heinous alchemy to transmute the innocuous phrase into something nefarious, something that could be used to incite hatred towards an identifiable group. The CBC was quick to begin constructing the narrative that this phrase is a form of hatred directed at a "marginalized" group in our society. The CBC began publishing the idea that "campus organizations were planning events in support of groups who feel targeted by the messages" and that "many students have said they feel unsafe due to the threatening nature of the messages," [emphasis mine] and quoting University of Manitoba Students' Union (UMSU) president Jakob Sanderson who implored students to "put themselves in the shoes of their Indigenous partners on campus, of their racialized partners on campus, of their Muslim partners on campus." And so began their attempt to transmogrify via black magic the benign statement "It's Okay To Be White" into a "threatening" and "targeted" message that was leveled directly at non-white groups, any non-white group that you could possibly imagine. Early on, UMSU reported that flyers were faxed "directly to the University of Manitoba Native Studies Department Office", stating that "It is clear from this, that while the message is extremely troubling for all people of Colour on campus, it was particularly targeted towards Indigenous peoples." This was quickly seized upon by the CBC as perfect evidence of the phrase being some kind of coded hate speech, but the narrative fell apart when UMSU retracted their statement after learning that in fact no faxes had been sent to the Native Studies Department Office, and that apparently some had instead been faxed to the Women's and Gender Studies Department Office. This error lead to Cary Miller, head of the Native Studies Department, issuing the bizarre statement that “certainly with it coming to women’s [and gender] studies, there’s also a gendered piece of it […] which I found particularly concerning." This wasn't to be the sole attempt at trying to misconstrue "It's Okay To Be White" as a "gendered" statement that has nothing to do with race. According to sociology professor Lori Wilkinson, the flyers had been put up "where people with different sexual orientations are meant to spend more of their time," going on to condemn it as "a silencing message." The revelation that no "It's Okay To Be White" flyers were faxed to the Native Studies Department however did not stop the CBC from trying to paint native students at the University as victims: "Indigenous students at the University of Manitoba [...] are feeling uneasy after messages that said "It's okay to be white" were posted around campus last week," quoting a native student who told them that "seeing the posters on campus has made her feel more unsafe." They also interviewed Chance Paupanakis, a representative from Circle of First Nation Métis and Inuit Students, who expressed his belief that "It's Okay To Be White" was a harbinger of violence: "My fear is that this will turn into something much more violent." Lori Wilkinson shared her personal pet conspiracy theory about the flyers, stating that "We have to look at where the posters were placed and who received the messages. [...] they were heavily postered around the women and gender department, the Native studies department, in places where international students and Indigenous students congregate in large numbers. They weren't posted in places where these people don't tend to be," referring to the Arts buildings, and completely ignoring the fact that the flyers had been posted across the entire University campus within a 350 meter radius from University Center. One wonders why Wilkinson thinks in the first place that native and international students "don't tend to be" in the buildings where math, science, engineering, and medicine are taught on campus. In a television interview with CityNews Winnipeg for a short piece entitled "Decoding 'It's Okay To Be White,'" Wilkinson expounded on her paranoid conspiracy theory, saying that "these posters weren't put up in architecture, weren't put up in music, weren't put up in science, weren't put up in engineering," and confessed her belief in being the victim of a targeted campaign of harassment due to her career being focused on endeavors that "talk about diversity and question racism." Having established that "It's Okay To Be White" had been personally forged by Ultra-Hitler in his subterranean Antarctic base, and that the message has nothing to do with white people and everything to do with targeting non-whites with harassment and incitement of hatred, they had only one small problem left: The meaning of the words in plain English still only indicated that it is okay that white people happen to exist. They had to do something about this, and fast. Evan Balgord, Executive Director of the Canadian Anti-Hate Network (an SPLC child organization), declared that the meaning of the words '"It's Okay To Be White'" would be authored any way that they so desired: "It’s not the actual contents of the message that’s the issue, it’s their meaning." For this task, they called in the heavy guns. They recruited undergraduate student and future Ministry of Truth employee, Chloe Touzin, to write an essay for The Manitoban entitled "Decolonization, white supremacy and 'It’s okay to be white'". Therein she demystified the cryptic runes that composed the phrase "It's Okay To Be White" and revealed to the world once and for all the secret meaning they held: "It appears they are trying to promote white pride or a celebration of white culture [in non-white individuals]," and that "the posters imply that awareness and pride of marginalized cultures are anti-white. It is OK to reject decolonization efforts. 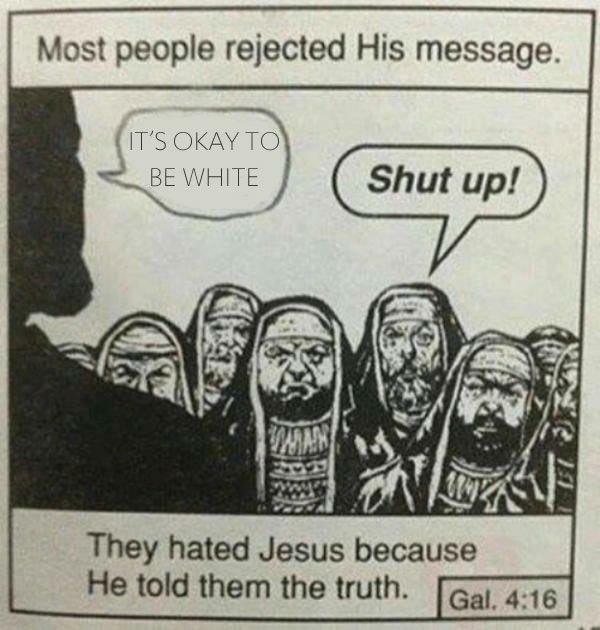 It’s okay to be white." She had cracked the code. 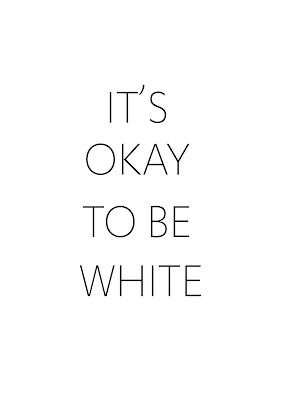 The phrase "It's Okay To Be White" was designed by "white supremacists" to prevent non-whites from celebrating and being proud of their own culture, to prevent them from "decolonizing" themselves of "whiteness". "This is not to say white people should be ashamed of being white, but they should be self-aware," she wrote, in an effort to remind white people that there exist conditions upon which they are allowed to not feel shame for existing. "The reason why many minorities have a natural aversion to the concept of white pride is the only purpose it serves is to repress the actions minorities take when celebrating their pride," she went on to write, condemning the very existence of a white individual who does not loathe themselves as being an oppressive force bearing down cruelly upon non-whites. She then went on to demand that the phrase "It's Okay To Be White" be banned as hate speech: "A common defence of these posters is freedom of speech. Yet these posters are used by white supremacists as propaganda," though she failed to explain why this phrase equals white supremacy, which refers to an ideology relating to a belief in the right to rule over other ethnic groups. "If we can’t draw the line at racially motivated propaganda for limiting speech, it would seem we have lost the plot," she triumphantly declared in her essay about how white people and their culture are inherently oppressive and must be systematically "decolonized" (removed) from society. It's not remarkable, right? It's quite a clever statement because in and of itself, if you just read it you say, "Oh, it's OK to be white," but the impression, or what the message implies, is that the other part of that sentence that's not there is not being white is not OK — that's the other end of the message. No doubt, this raw display of the highest degree of attainment achievable by human beings in the application of anti-racism science left CBC listeners flabbergasted. With one simple statement, one simple insight, Lori Wilkinson had once and for all secured her status as the Stephen Hawking of anti-racism studies, proffering up the deep wisdom she had conjured from the depths of her meditations: The answer was that within the phrase "It's Okay To Be White" there in fact exist hidden words that are invisible to the profane: "It's Not Okay To Not Be White". Lori Wilkinson, "specialist in anti-racism"
She then went on to gravely warn CBC's listeners about the nature of the individuals responsible for disseminating these invisible words: "... these are groups of people that propagate ideas that Western civilization is under threat by immigration, for instance," explaining that the invisible words are being used to "... silence people who are working in diversity, multicultural and multi-faith communities, who are working toward equality." Wilkinson then leaned in close to the microphone, paused for a moment as if carefully weighing whether or not she should share what she was about to say next, then gave listeners another taste of her high level mastery of the anti-racist arts: "We have to be very careful when we talk about these kinds of messages because it's not [...] simple [...] it's unconsciously racist," revealing for the first time to Canadian citizenry that she had attained such a high degree of mastery that she had gained the supernatural ability to read the subconscious minds of other human beings. When Wilkinson was asked if it might be best to perhaps ignore the "It's Okay To Be White" posters, and perhaps even to not direct so much attention onto the ones putting them up (such as demanding that the Winnipeg Police Service Intelligence Unit conduct a manhunt for the author of this article), Wilkinson assured the interviewer that "the worst thing that we can do is to sit back and do nothing, because it lets this group of people send out this message uncriticized." We can only assume that professor Wilkinson considers Winnipeg taxpayers footing the bill for expensive police manhunts of individuals who express the words "It's Okay To Be White" to be a form of fair and valid criticism. Who Should Be Charged With Hate Speech? It is plainly evident that the phrase "It's Okay To Be White" does not in any manner qualify as hate speech in Canada. It does not target any identifiable group, nor does it incite hatred of any kind. What it does do, however, is expose the hatred that already lies in the hearts of individuals who have been indoctrinated with the anti-white ideology that is taught at academic institutions all across Canada, including the University of Manitoba. The truth is that the ideology that is being promulgated on campuses targets white European Canadians as an identifiable group, and it incites hatred towards them. It is the universities and the professors who teach this vile ideology that should be charged with hate speech, if anyone should be. 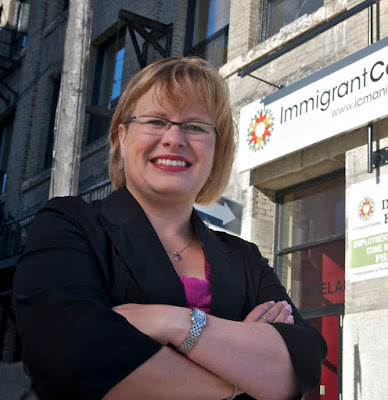 But the sobering reality is that we live in a society where members of the Canadian Federal Government openly condemn the phrase It's Okay To Be White as "hatred". 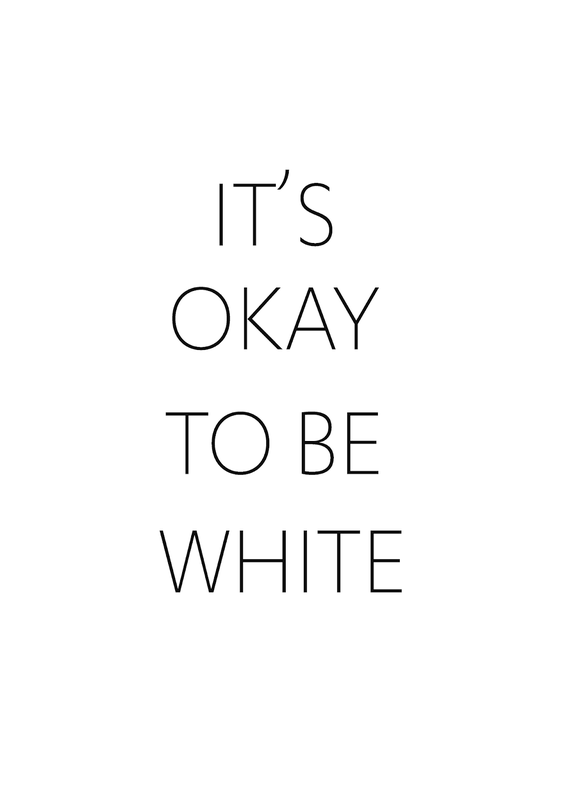 The way to fight this is to keep expressing the truth: "It's Okay To Be White". The people who wish to censor this innocent freedom of expression are nothing more than bullies who are terrified that their entire house of cards is going to come crashing down into a flaming heap as a result of people simply having the courage to speak these words. Speak them. Sing them. Write them. Print them. And never apologize: It's Okay To Be White.